Today’s card was inspired by dawn at http://www.dawnsstampingthoughts.net and I loved it so much I had to make a valentines version. DSP ( I used the stacked with love ) 3 3/4x 5 1/4 . Stamps I used where from the You Plus Me stamp set. 2. Now you are going to make a slit in your card at 1″ ( 2.5 cm) and at 4 1/2 ” (11.4 cm) ( my ruler on my trimmer going vertical is in cm !! ) this is shown in pencil mark on the next photo so you can see better. 3. Now flip your card over and adhere your DSP to the front section covering the slit you have just made. 4. You are now going to repeat step 2 and re-do the slit in exactly the same place but this time through the DSP that you have adhered. 5. Now take your 3 x 3/4 piece of whisper white card stock and adhere a dimensional to one end. 6. Flip this over and at the opposite end of the dimensional adhere some sticky strip. Insert this piece into the slit you have just made with the dimensional sitting on the top of your card front. Pull this tab all the way to the bottom of card. 8. Turn your card over so you now see the long piece of white card stock with sticky strip. 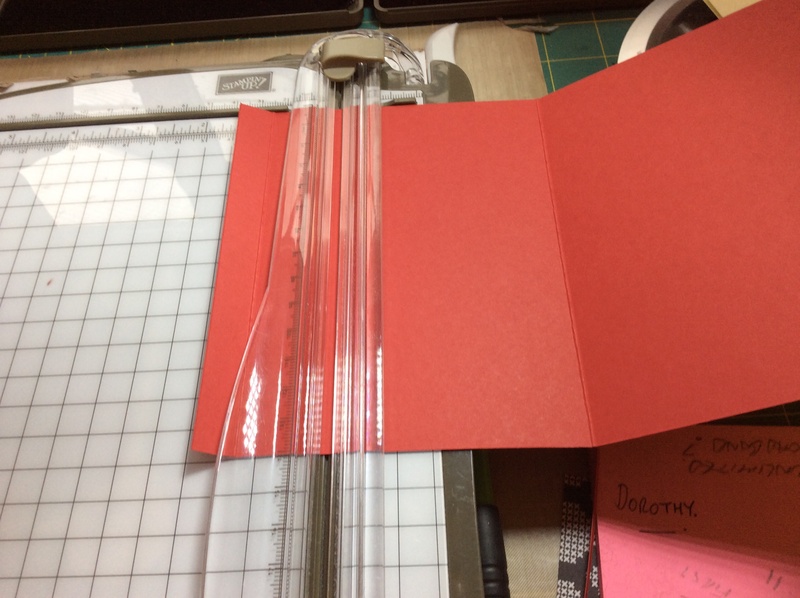 Take your other piece of whisper white card stock and line it up with the top edge of red card stock and adhere the piece to the sticky strip (making sure your slider is all way to the bottom and your white card is level with the top). 9. Now you can close up the card by placing sticky strip along the bottom and the side. 10. With your card facing up and your dimensional at the bottom you can now decorate. 11. 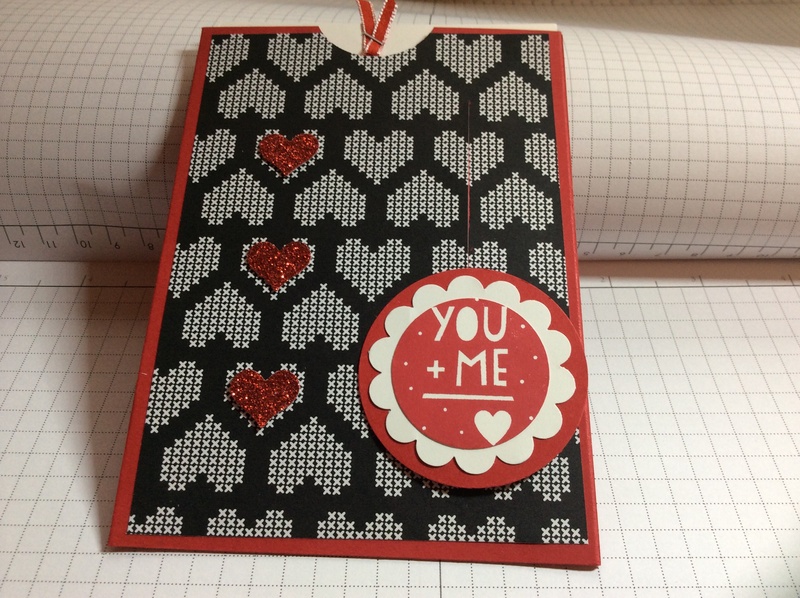 Stamp you and me in rose red onto whisper white card stock. 12. Punch out with 1 3/8 ” punch. 13. Punch out 1 3/4″ scallop in whisper white. 14. 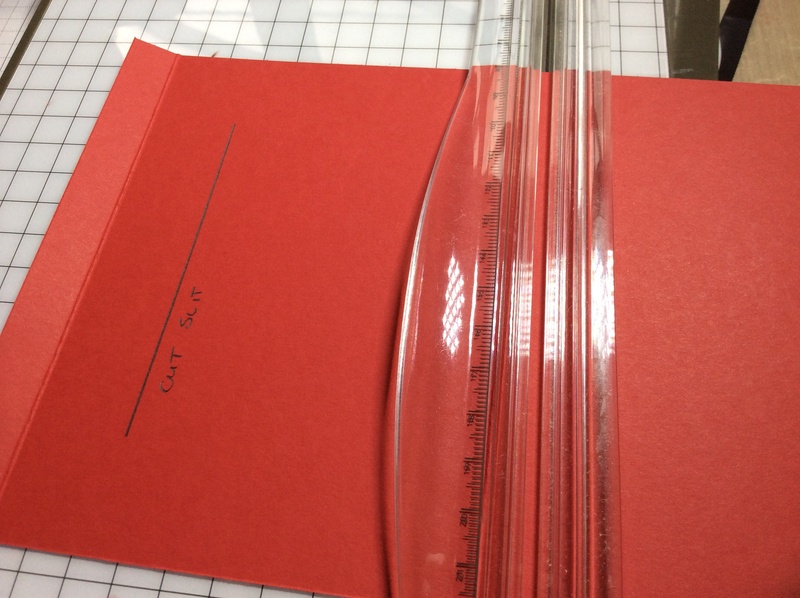 Punch out 2″ circle in real red card stock layer all together and adhere to the dimensional. 15. 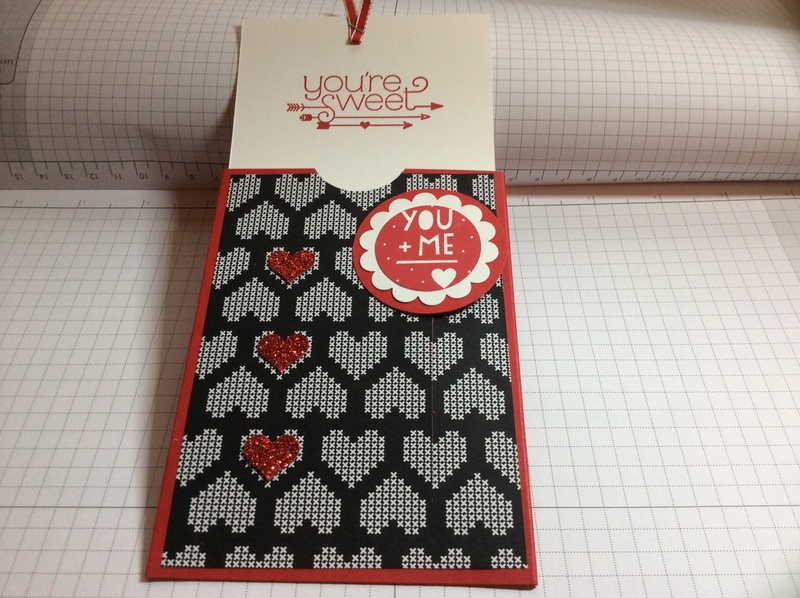 Pull out white card from the top (your you and me should slide up ) and stamp you’re sweet. 16. Staple some real red ribbon to the top as this provides the pull. 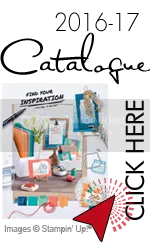 I hope you enjoyed today’s make and if you are at all stuck or you would like to see the original pop over to http://www.DawnStampinThoughts.net and see her video …..it’s fab. If you like the card and would like to purchase the products why not visit my shop using the button at the top right hand side.